The new generation Fractional CO2 laser is an effective treatment for resurfacing of scars and devitalised skin. This is achieved by a controlled and selective vaporisation of skin columns to create zones of microscopic thermal injury for collagen regeneration from within. The patented beam technology makes it selective and precise, protecting against post-laser hyperpigmentation. The Enlighten™ system - Micro Lens Array is a patented treatment unique to the Enlighten™ laser. This is a novel fractional non--ablative treatment with a unique beam profile targeted at deeper textural concerns. It works by focusing high energy beams deep into the skin, creating microscopic injury into the dermis for remodelling of the skin over a larger area. An ideal lunch-time photofacial – SpectraPeel will reduce excess sebum, close enlarged pores and banish unhealthy skin cells. The dual mode action of Spectra laser peel ensures reduction of the formation of comedones, (whiteheads and blackheads), reducing acne flare-ups, and lightens uneven skin tone from acne and shallow scars. Intense Pulsed Light (IPL) - This uses non coherent light to by targeting different types of pigment at different depths (chromophores). IPL treats fine lines, surface pigmentation, broken capillaries, sensitive skin and acne. This treatment is effective* with no down time, yielding a more rejuvenated and glowing complexion. Micro Neurotoxin/ Derma- Lift - Using dilute concentrations of Neurotoxin, the skin appears more refined, pores are smaller, and the face is more matte. This probably works by the reduction of impulses to the oil glands as well as superficial skin tightening and rejuvenation. Neurotoxin Cosmetic can also be used to sculpt the face and neck, and reduce wrinkles of dynamic expression. Frown lines, crow’s feet, forehead lines can be softened. Crystal clear programme with Cosmelan - Uneven skin tone is caused by many factors, from hormonal changes from pregnancy and menopause (melasma), to sun exposure, to long standing scars or genetics. With Dr Vanessa Phua's signature Crystal Clear programme, you can attain dewy, clear complexion. This programme is a combination of laser photo-rejuvenation (using a pigment specific laser), Cosmelan (physician grade treatment mask and topical creams) and oral anti-oxidants to combat pigmentation. The skin-friendly laser targets pigment and uneven skin tone and Cosmelan works synergistically to inhibit the formation of pigment at its source. With addition of oral antioxidants, skin protection is reinforced with UV protection, hydration and acceleration of skin clarity. Enlighten™ PICO Genesis is a 2-in-1 laser by Cutera . It uses 2 wavelengths (532 nm and 1064nm) to correct pigmentation and uneven skin tone concerns. 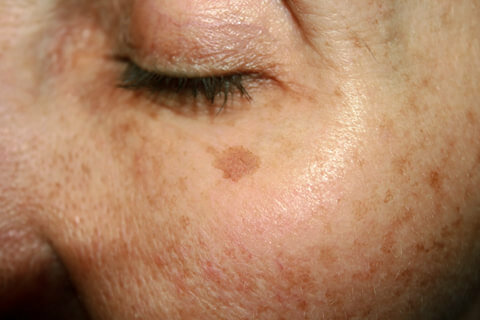 This laser procedure uses high speed, non-thermal pulsed energy to treat tattoos, melasma, age spots and unwanted freckles. This works by using ultra-short laser pulses (PICOSECOND IN DURATION = 10 - 12 seconds) of 2 wavelengths, photo-mechanical shockwaves selectively shatter the pigment and stimulate remodelling to skin simultaneously, requiring significantly fewer treatments compared to other lasers. The instant results are fairer, more radiant skin, with obvious lightening of skin pigmentation. Can be used to treat the face, neck, décolletage or anywhere of concern. To understand more about Pico Laser (PicoSure & Pico Genesis), please click here. 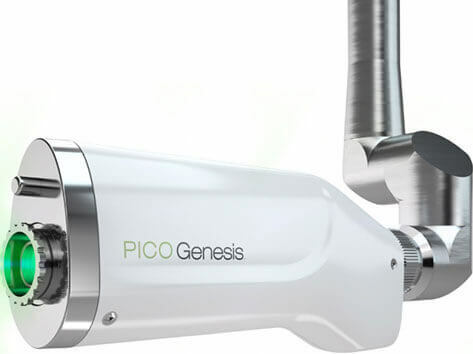 PICO Genesis™ is pain free, produces good results with no downtime. Treatment with PICO Genesis lasts roughly 20 minutes – a genuine lunchtime laser. Suitable for all skin types, most notably darker/ Asian skin tones that have a higher risk of post inflammatory hyperpigmentation. Dr Phua is experienced with using the latest laser technology to help treat your pigmentation problems in a safe environment with no downtime. The Dual Yellow Laser is a Copper Bromide laser that helps to treat acne, melasma, rosacea and sensitivity There is no discomfort or side effects. The treatment yields a smoother, clearer and more even-toned complexion. Works well on its own or in combination with other pigment lasers. Have your saggy skin treated with effective non-surgical facelift techniques. Papillon Threadlift - Tighten and lift your face with minimally invasive, minimal down time threadlift! New threadlift combination using HSA Approved Newton Cog (or N-cog) Spiral and DermaSpring threads originated from the traditional philosophy in oriental acupuncture therapy to control and improve tissue stimulation and muscle contraction. N-Cog thread is fine needle affixed to the absorbable thread. The needle is inserted to the subcutaneous layer of the skin, and when the needle taken out, the threads remain, implanted in the skin. Non-surgical Ultra-fine threadlift that does not involve cutting or stitching, using absorbable ultra-fine threads that are inserted under the skin with no down time. The threads are made of absorbable and biodegradable materials used in various fields of surgery. Collagen and elastin skin proteins start to form and the skin is lifted and becomes tighter and more youthful, resembling a more streamlined “V”. It is now as the “Lunchtime facelift” and is suitable for those who have mild to moderate sagging of the skin, and wish to restore the youthfulness back to their skin with minimal downtime (*Results vary based on the individual). 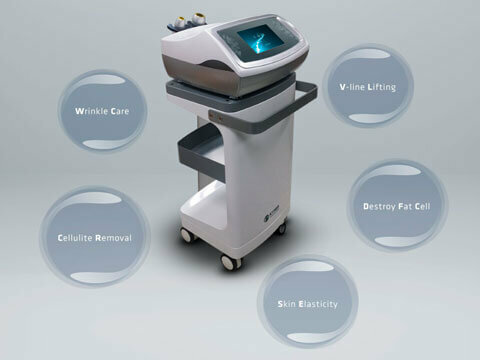 Ultherapy - Non-surgical Focused Ultrasound Therapy - Dr Vanessa Phua was among the first Singapore aesthetic physicians to offer UltherapyTM in 2009. UltherapyTM combines real time imaging of deep underlying tissues with focused ultrasound energy targeted at deep tissues. Your skin's response to the energy is to contract immediately, leading to the growth of new collagen over time. The results peak 3 months following a single treatment session and last up to 18 months (*Results vary based on the individual). Suitable for patients with mild to moderate sagging of the brows, eyelids, slackening of the jaw line, and folds on the face and neck from gravity and natural ageing processes. Other areas are also amenable to youthful rejuvenation by Ultherapy, such as the delicate skin in the underarm fold, décolletage and knees. 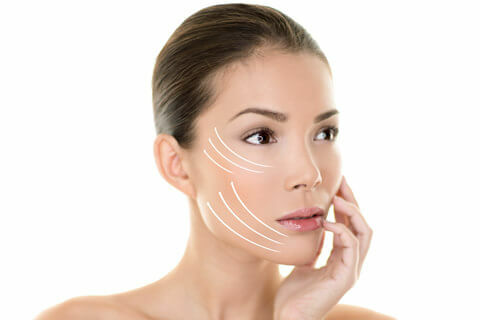 Vmax treatment - A great alternative to surgical face lift. It gives one facial harmony without being invasive and without downtime. 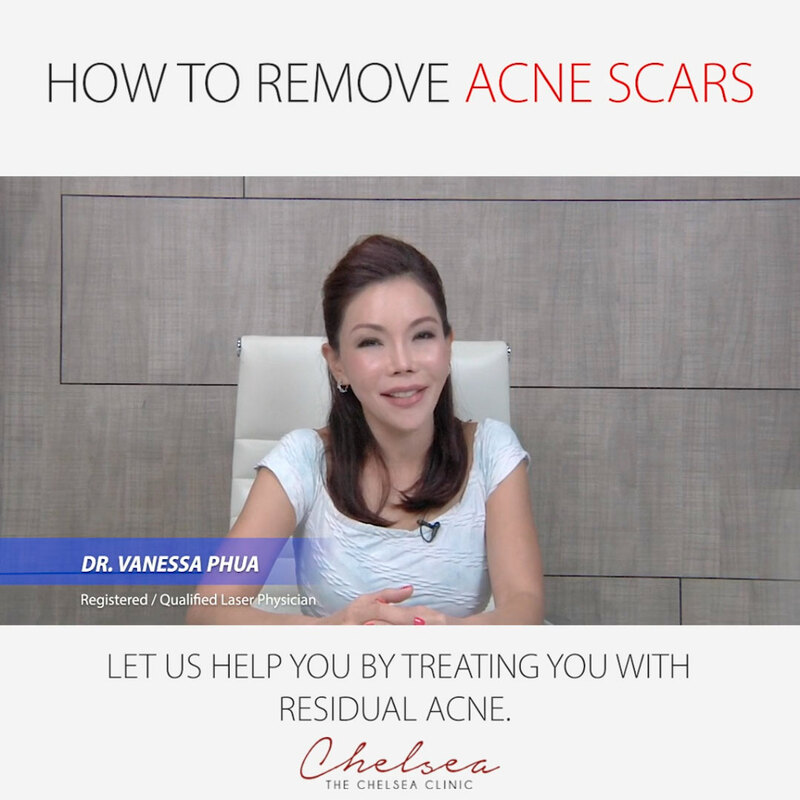 While it is safe for all ages and skin types, it is best for those who are looking to correct saggy skin or reduce the appearance of double chin. Have you found yourself fretting over the negative effects ageing has on your face? Vmax delivers advanced thermal high intensity focused ultrasound (HIFU),and targets deep tissue layers. Vmax reaches 3.5 to 10mm deep under skin, stimulating higher levels of collagen production. Upon collagen production, sagging facial and neck skin lifts, and appear more youthful and tighter. The Vmax has 2 main modes : fat burning and lifting and 6 beauty functions – wrinkle removal, face shaping, fat cells and cellulite elimination and skin elasticity. VMax body contouring can be done by breaking down excessive fatty layers between 10mm-20mm deep. What is the difference between Ulthera and Vmax? As Ulthera is micro-focused with each beam concentrating on a specific surface area and particular depth, patients might feel a high degree of pain during the treatment. VMax is virtually painless as compared to Ulthera and no forms of anesthetic are needed. VMax HIFU beams are controlled at 65 degree Celsius which is a comfortable level. However, some may feel a short-lived slight tingle or mild soreness in the treated area. Also, the results of Ulthera are longer lasting (12-18 months), while VMax requires maintenance every few months. Usually, 2 sessions are done 4 weeks apart and a session should be done every 6 months for maintenance. This will bring about the best effects of Vmax. How are the best candidates for Vmax? Ultrasound treatment is great for those who have mild to moderate facial and neck skin laxity. Even younger people, under 30, can consider VMax as a preventive measure. In fact, Vmax is highly recommended to those who have undergone surgical facelift and would like to enhance and prolong the results. Dr Phua is experienced with using the latest non-invasive technology to help treat your saggy skin problems in a safe environment with no downtime. Thermage® CPT (Controlled Pulsed Technology) allows more energy delivery into the deeper tissues of the skin, with more patient comfort and efficiency. Suitable for moderately loose skin of the eyelids, face and body. Suitable for patients with moderate skin laxity, and is safe, comfortable and has no down time. Safe, biodegradable and US FDA approved fillers are used to rejuvenate, volumise and hydrate from within as an instant liquid face lift or a volumiser. This helps to restore the beauty triangle of youth. The hollows disappear, the cheeks are lifted and the skin is more hydrated from within. The result is a youthful, 3 dimensional restoration of beauty. Suitable for forehead, temples, nose, cheeks, lips and jawline. What are dark eye circles? The skin of the eye area is very sensitive and fragile, easily revealing the signs of fatigue or age. Eye circles appear first at the corner of the eye and then spread on the contour which makes the eye lifeless, tired or even sad. Dark Eye circles can have different origins: fatigue, deficient microcirculation, unhealthy lifestyle, and they are often hereditary as well. Redensity Teosyal II filler rejuvenation works by hydrating the skin and on a deeper level, it fills the gaps between cells, nourishing the area, providing an antioxidant effect, and recreates lost volumes.